Manhattanville College wanted to increase awareness of and enrollment in their six business-focused Masters Degree programs. We began by conducting interviews with key Manhattanville personnel and an analysis of competing schools’ websites to hone in on the key differentiating features of the Manhattanville Masters Program. Text was developed that focused on the school’s small class size, industry-driven curriculum, the ability to earn a degree quickly, and instructors who are leading practitioners in their field. We also recommended including quotes from current students and recent alumni who describe how they were able to apply what they learn in the classroom directly to the workplace. 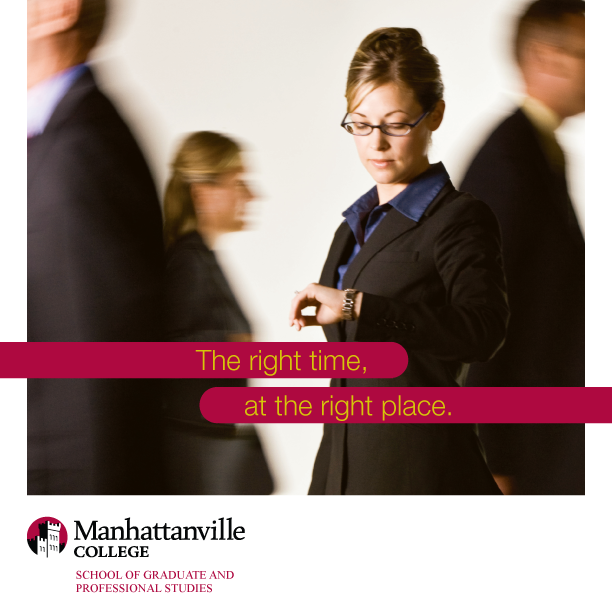 To date, we have created a brochure and a series of sell sheets for Manhattanville.